Yes! 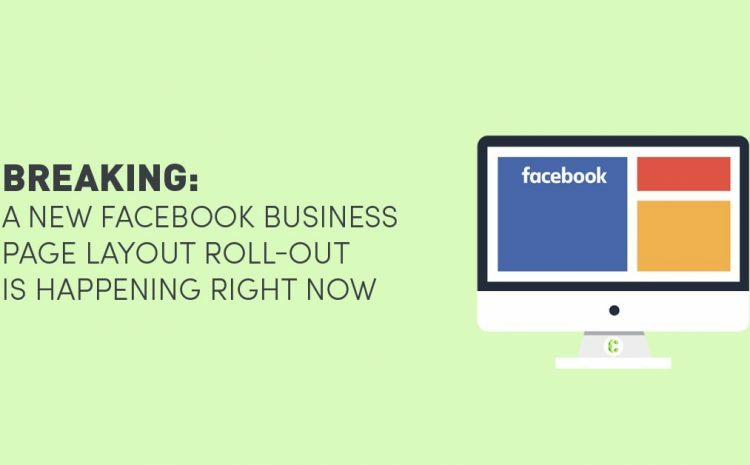 You read that title right, Facebook seem to be in the process of launching a brand new Facebook business page layout! 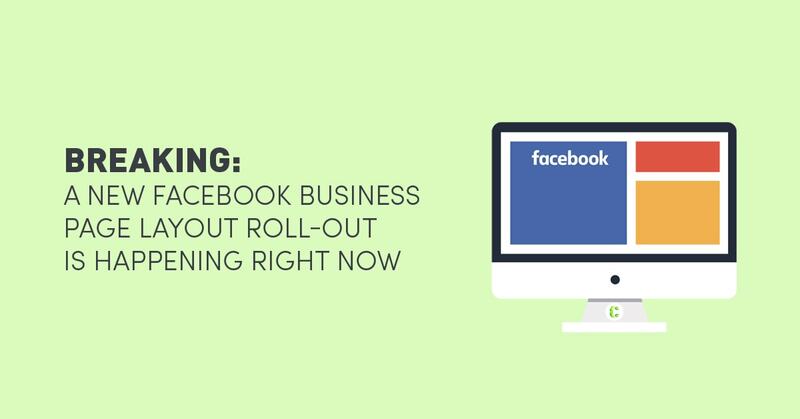 If you have been following Facebook’s movements with a watchful eye you would have noted their many updates for business, and although this update will also benefit Facebook business pages, it’s something new for users to get excited about too! 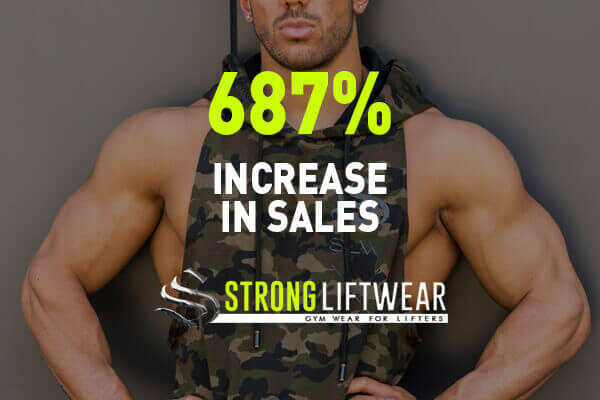 Thus far in 2016, we have been introduced to the new Facebook Pixel, Facebook Messenger Updates for Business, Facebook Local Insights for Business, and the news that Facebook Ads will now be targeting non-members – just to name a few! So it’s no surprise that the busy bees at Facebook Hq have also been working on a shiny new facelift for business pages. The user-profile image now appears on the top left-hand side, totally detached from the cover photo. The top navigation tabs now appear vertical to the left, just under the profile picture area. These include Home, About, Photos, Likes, Videos, Posts, Manage Tabs. There is a noticeable blue Promote button under the navigation menu on the left side. A new call to action button on the right-hand side under the cover photo, which reads ‘Send Email’. 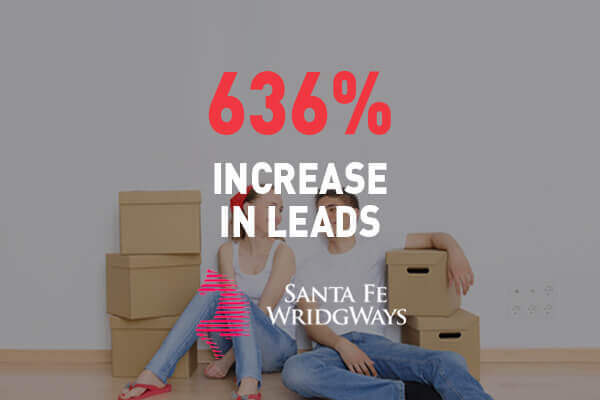 In the home page view, business page insights are forefront and centre, directly underneath the Post/Status box. Our team’s first impressions of the new Facebook business page layout? We’re actually loving this clean easy-to-navigate new look! It may be a coincidence, but this layout is giving us Twitter feels – can you see it?! One thing is for sure, Facebook is further pushing business’ to invest and spend in their advertising space. And why wouldn’t you? 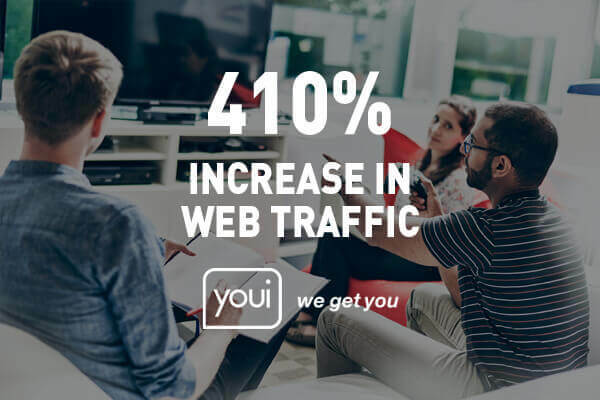 With over 1.4 billion users and access to non-members, the collective audience data is valuable to any business! 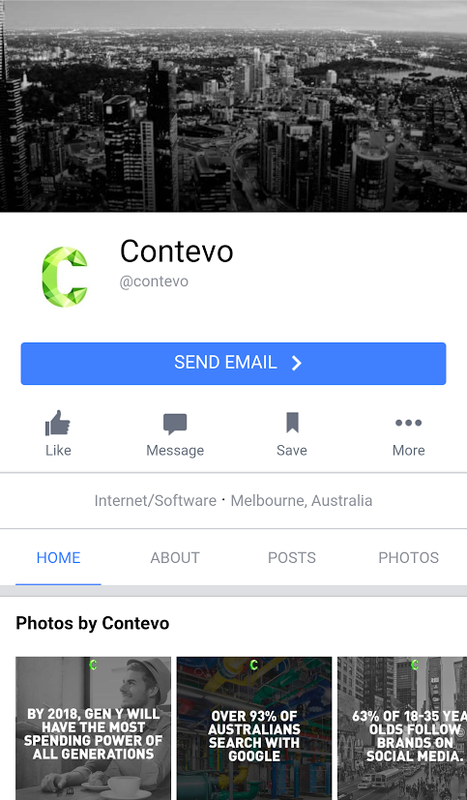 If you would like to know more about Facebook advertising or Facebook for business, get in touch at www.Contevo.com.au/contact. 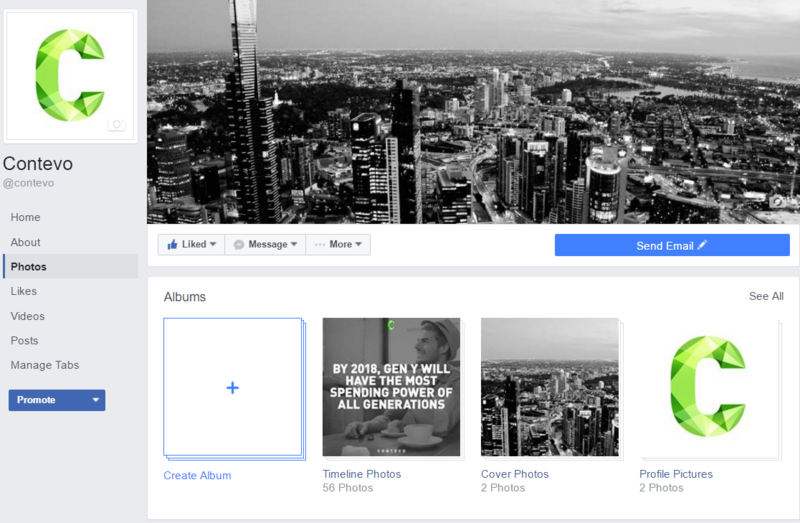 More to come on the new Facebook business page layout…!